1. Celastrol exerts synergistic effects with PHA-665752 and inhibits tumor growth of c-Met-deficient hepatocellular carcinoma in vivo. 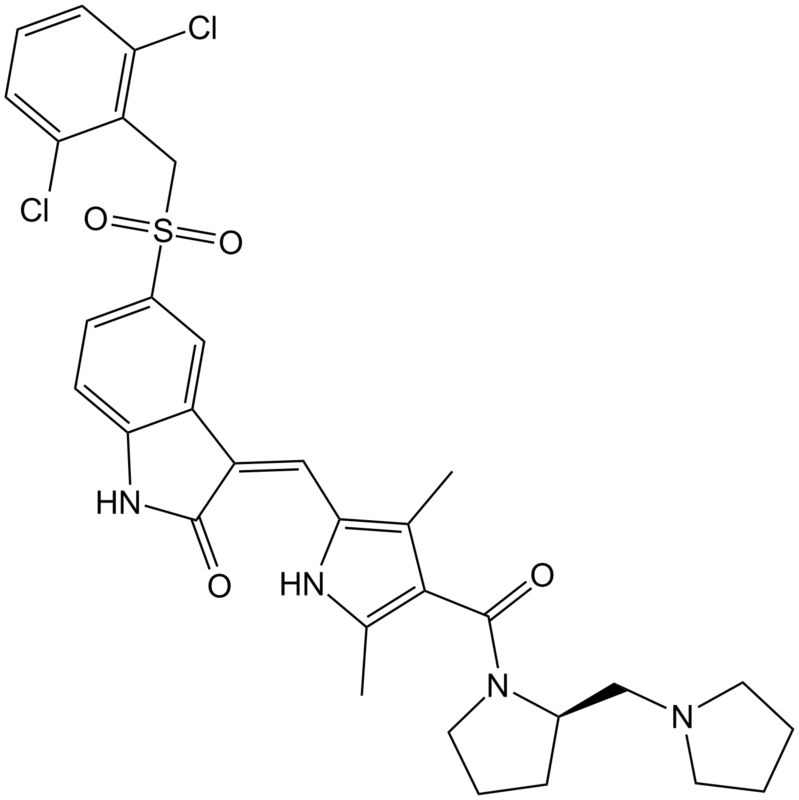 Mol Biol Rep. 2013 Jul;40(7):4203-9. doi: 10.1007/s11033-013-2501-y. Epub 2013 May 7. 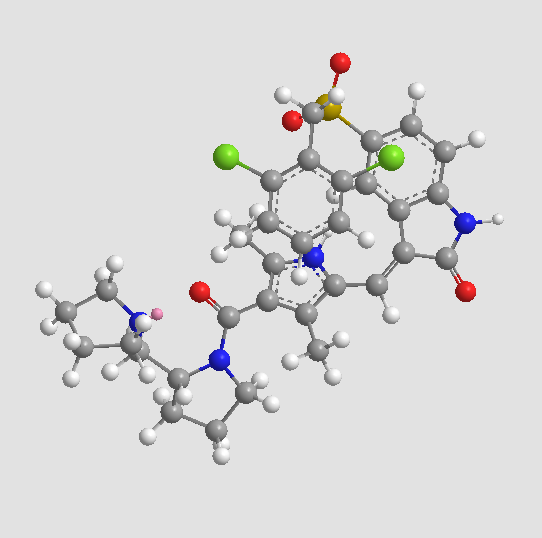 PHA665752 is a c-Met inhibitor that exhibits anti-tumor activity only in c-Met-positive tumor cells. 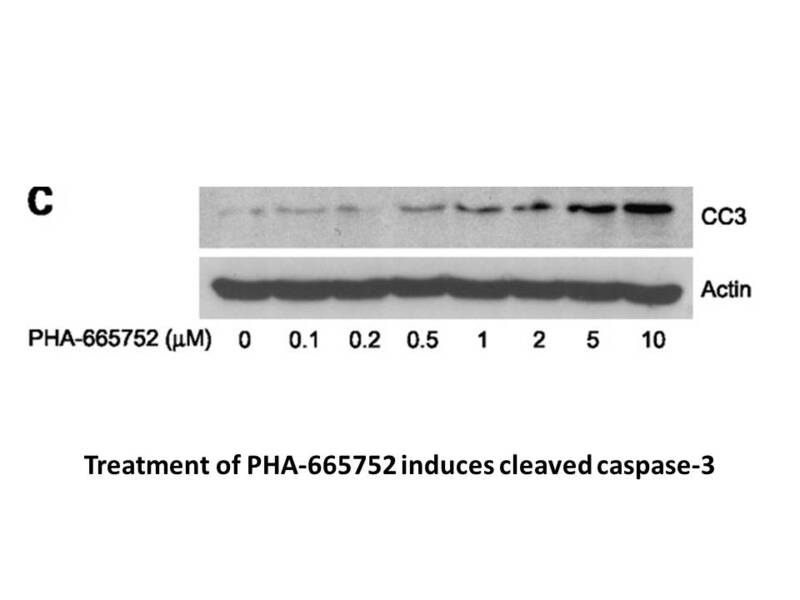 The combination of PHA6657552 and Celastrol is a potential therapy of c-Met-deficient tumors for their demonstrated antitumor effects in c-Met-deficient hepatocellular carcinoma cells and xenografts. 2. 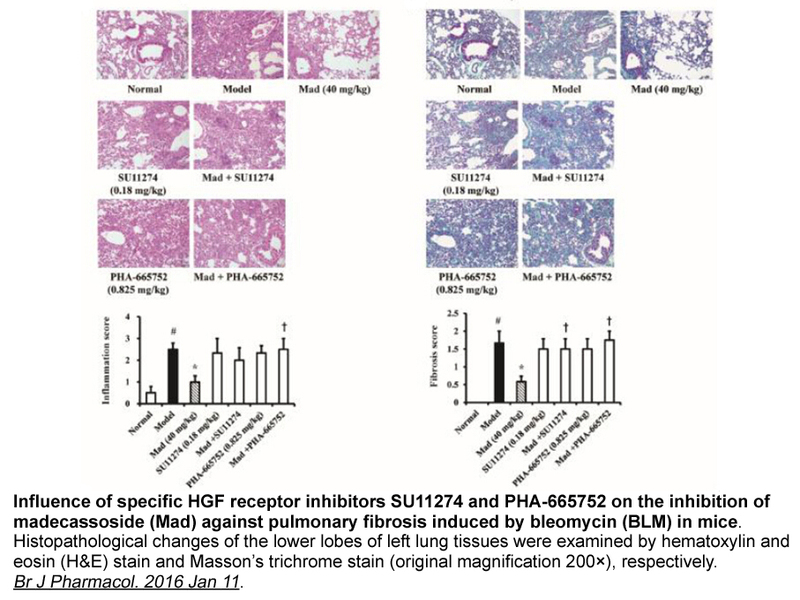 A selective small molecule inhibitor of c-Met, PHA-665752, reverses lung premalignancy induced by mutant K-ras. Mol Cancer Ther. 2008 Apr;7(4):952-60. doi: 10.1158/1535-7163.MCT-07-2045. 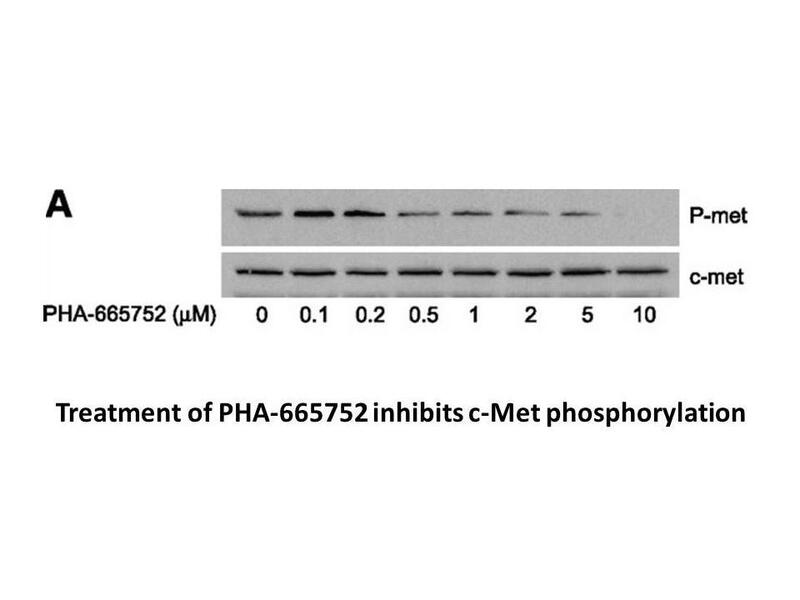 PHA-665752, a c-Met inhibitor, inhibited lung tumorigenesis in Kras(LA1) mice and induced apoptosis in LKR-13 cells and MECs, where apoptosis in MECs was induced by c-Met inhibition. 3. Amplification of MET may identify a subset of cancers with extreme sensitivity to the selective tyrosine kinase inhibitor PHA-665752. Proc Natl Acad Sci U S A. 2006 Feb 14;103(7):2316-21. Epub 2006 Feb 6. Gastric cancer cells with high levels of MET are extraordinarily susceptible to PHA-665752, which induces massive apoptosis.
. Christensen JG1, Schreck R, Burrows J, Kuruganti P, Chan E, Le P, Chen J, Wang X, Ruslim L, Blake R, Lipson KE, Ramphal J, Do S, Cui JJ,Cherrington JM, Mendel DB. A selective small molecule inhibitor of c-Met kinase inhibits c-Met-dependent phenotypes in vitro and exhibits cytoreductive antitumor activity in vivo. Cancer Res. 2003 Nov 1;63(21):7345-55.